On Sept. 28, 2016, the U.S. Food and Drug Administration (FDA) announced that they granted approval to Medtronic’s MiniMed 670G for the treatment of individuals with type 1 diabetes (T1D). The device is a revolutionary “artificial pancreas” that monitors blood sugar levels and then delivers the required dose of insulin. For people with T1D, artificial pancreas systems are the first major breakthrough in diabetes management since insulin therapy. While input from the user is still required, the MiniMed 670G is still the closest thing to a human pancreas that is available today. Medtronic’s automatic insulin delivery device is expected to hit the market by Spring of 2017 and the medical device will require a prescription. A Medtronic Diabetes spokesman said the timeline gives them ample opportunity to train clinicians and health educators about how the new diabetes management system works. 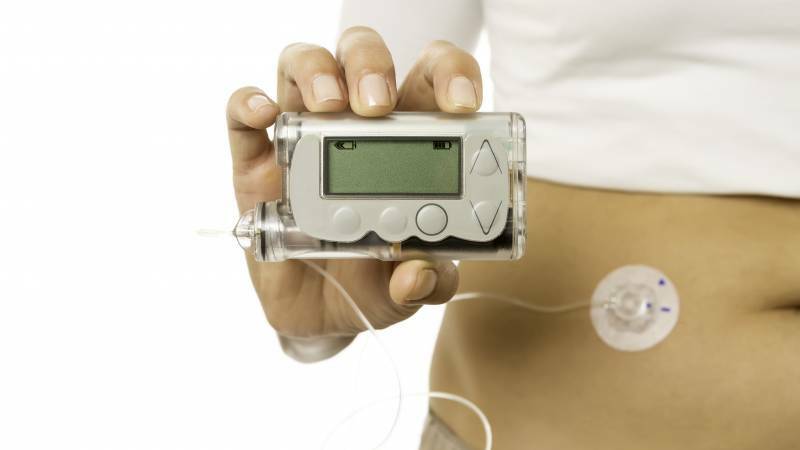 The MiniMed 670G has a cellphone-sized device glucose monitor for blood sugar monitoring at five-minute intervals wirelessly connected to an insulin pump, on a catheter that is injected under the skin. You do have to enter your carbohydrate intake manually, however, the pump does the rest, using a sophisticated algorithm to deliver the right amount of insulin to keep your glucose levels under control. The pump stops delivering insulin if your blood sugar level becomes too low. To prevent a build-up of scar tissue, the injection site is changed every three days. No one reported any serious side effects. Participants mentioned how happy they were not having to constantly monitor their glucose levels and then take insulin. Many people remarked that it was great to sleep through the whole night once again and a feeling of freedom when they didn’t have to think about their diabetes every minute of every day. The FDA considered data from 123 participants, who used the MiniMed 670G for three months, in a clinical trial before granting approval for the device for people age 14 years or older who use more than eight units of insulin per day. Medtronic is now studying the safety of its artificial pancreas for children as young as seven. The FDA is asking Medtronic to perform additional studies to gauge how well the device fits into people’s daily lives. Parents are eagerly anticipating FDA approval for the MiniMed 670G for younger children. If you’re a parent of a child with T1D, you know that sleep-overs at friends and camping with the Scouts is extremely challenging, even waking up in the middle of the night, every single night, to check your child’s glucose levels eventually wears you down. The artificial pancreas is life-changing, not only for adults with T1D, but also for parents of teens with TID. As early as 2006, the JDRF, formerly the Juvenile Diabetes Research Foundation, started advancing the development of artificial pancreas systems by funding for research. They also asked the Senate and House Diabetes Caucus to fund research for artificial pancreas medical devices, which was shared by all potential manufacturers. Medtronic applied for FDA approval in June and received it in September, thanks to the company’s focus on giving the FDA everything they needed for a rapid approval. JDRF also plans to urge public and private insurance companies to cover the device. Of all the current treatments for diabetes, the artificial pancreas is the only one offering automated blood-sugar management that responds to high and low blood glucose levels. Fearing that some people won’t want to wear the somewhat bulky device, even if it provides automatic blood sugar monitoring and insulin dosing, the JDRF announced that they will fund additional research into making miniaturized artificial pancreas equipment. Medtronic’s artificial panaceas will be the first one available, but other companies are also planning similar devices. Medtronic is ahead of the game since they already had the components, they just didn’t have a way for the monitor and the insulin pump to communicate with each other. Of course, the artificial pancreas isn’t the only new technology improving the lives of diabetes patients. It’s said that there is an app for everything, and it’s true: there are over 1,000 apps for monitoring and managing diabetes. For people who need to know the amount of carbohydrates in their food, there is a CarbFinder app with more than 7,000 foods listed. Other apps offer insulin dose calculation, tracking and more. Several of the apps allow you to export records and email the information to your doctor as needed. Google’s blood sugar monitoring Smart Contact Lens project is especially innovative. To create a soft contact lens that will monitor glucose levels in your tears, Google had to create miniature chips and sensors that are no larger than a speck of glitter. The company also made an antenna that is thinner than a strand of human hair that, via an app, will make the readings available to the contact lens wearer and his or her doctor. Google’s already testing prototypes and performing clinical studies; however, the product isn’t ready to go in front of the FDA yet. In Europe, 41-year-old man with Type 1 Diabetes had insulin-producing islets donor cells transplanted onto an engineered scaffold of tissue covering his abdominal organs. Post-transplant, he stopped insulin therapy. The idea is to eventually create a bio-engineered mini pancreas, where the body will create new blood vessels to feed the donor cells oxygen and keep them alive. Verapamil, a drug already approved by the FDA to treat high blood pressure, is being tested throughout 2016 to determine if it can reverse T1D in humans by improving insulin production. Verapamil has already reversed T1D in mice, and if it proves equally as effective in humans, approval for the drug to treat T1D would be quick. Future treatments for diabetes have never looked so promising. As new glucose monitoring devices, including the artificial pancreas, become available, the medical profession expects to see a decrease in disease-related complications, especially in teens, since often struggle with diabetes management. As an adult, you can expect your self-care options to expand dramatically in the next decade.